1972: A Synth Odyssey. Photo (CC-BY-SA) Brandon Daniel (who also provides the great vintage ad scan below). We live in a strange world when it comes to music hardware. On one hand, there are near-daily introductions on Kickstarter of new hardware, and people willing to put up money for future products that don’t exist yet. On the other, we’re seeing a new stream of historical recreations of products from the 1970s. And then, in between, like some sort of 70s-turned-2014 steampunk-style mashup, a lot of people are making things with analog that are genuinely new. It’s as though the entire industry has been given a time machine, at any moment ready to lurch forward into either the past or the future, or into alternative timelines. David Friend, for his part, did go on to life after ARP – and recently stepped down as chief executive of the online backup company he co-founded, Carbonite. To be clear, as apparently everyone isn’t: KORG and ARP are embarking on their first-ever relationship. The ARP Odyssey was made by ARP, not KORG! The Odyssey of 1972 was a big seller in the 70s. But as a two-oscillator monosynth, it has younger, more agile competition today – even talking only analog instruments. Given the higher pricing of the MS-20, it’s not improbable that the ARP Odyssey will see collector-style pricing rather than mass-market. And there, the Odyssey may not have the kind of relevance the 2013 MS-20 mini announcement did. The mini had a few things going for it: the MS-20 design is still fairly different from other products in the market, the pricing was within reach of average consumers, and it had novelty on its side – it was the first big-name re-release of this kind. But this is different from other really new analog creations. In a way, it’s strange that KORG’s press announcement puts the Odyssey in the same category as the monotron or volca series. That might miss the point. The monotron and volca, while rooted in analog ingredients, are new instruments, new designs – in sound and interface. They reference the past, but they’re a new species of the same genus. Bob Moog and Dave Smith themselves chose to re-imagine their past creations, mixing new tech with old. 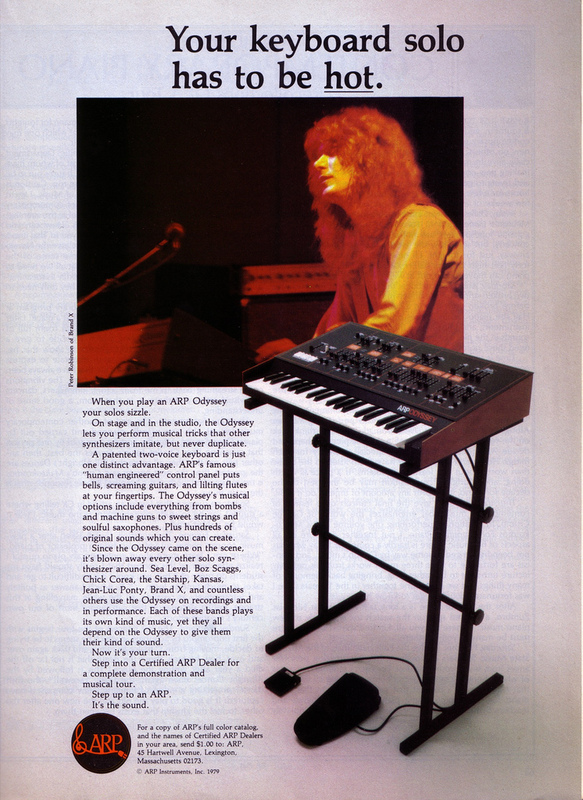 Roland chose to model the sound, and rethink the interface for modern tastes. A new generation of synth builders makes new designs, regardless of medium – new analog, new digital, and new hybrids. Heck, you can choose from all these things from KORG alone. (They also make swell metronomes, and they’ll sell you those analog circuits in magnetic building-block form.) So it’s a danger to read too much of a narrative into this announcement. In the end, you, the musician, get to decide. You can hop in the synthesizer DeLorean and set the clock for any time you want, past, future, or alternative present. And you’d be crazy to complain about that. It’s a bit sad, though, that what you can’t have is a truly new ARP. 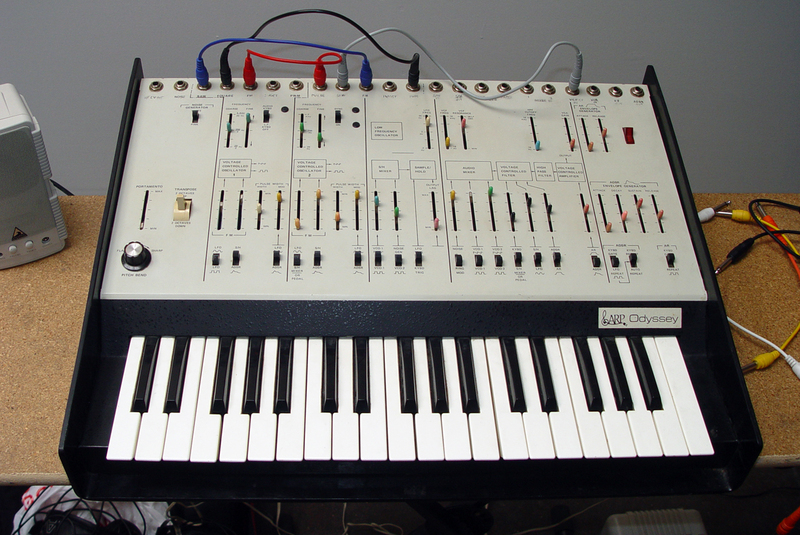 But then, for lovers of the ARP who want to imagine its futuristic offspring, you have a clean slate on which to draw.